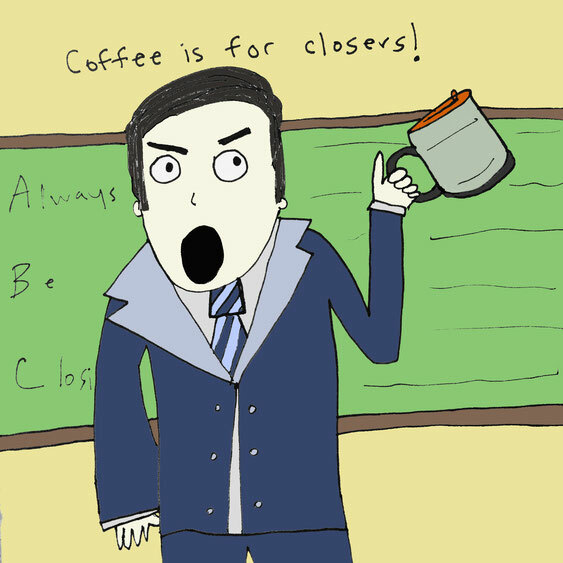 GlenGarry Glen Ross - megandraws's JimdoPage! It was slow at the library on Friday and I came across our shelf of David Mamet plays. 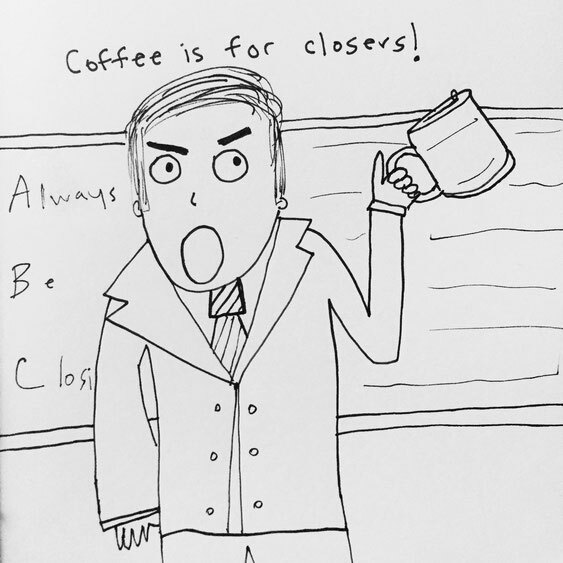 Read GlenGarry Glen Ross for the first time. It reminded me a bit of the rapid-fire back-and-forth banter of Gilmore Girls. (But with angry salesmen in the 80's swearing at each other). Watched some of the film as well. Great monologue.